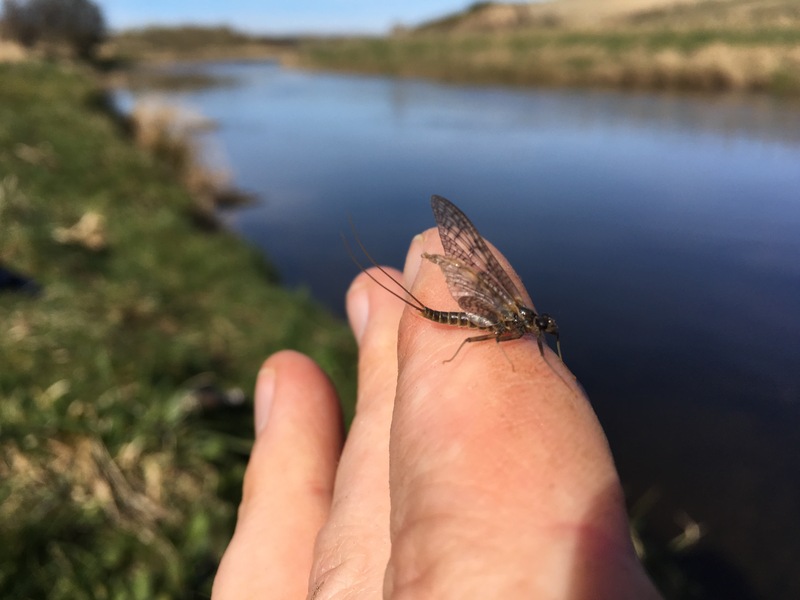 As fly fishers we all have our favourite beat or stretch of water that we love for different reasons, its location, the size, quality and numbers of brown trout, the pools and the water or maybe just because that stretch of water has been particularly kind to us in the past. For me the River Isla is one of my favs and a couple of spots in particular on this tributary of the Deveron. Few rivers offer a more isolated feel without actual isolation, the Isla has been particularly generous to me with quality trout and memorable days and it is only 10 minutes from the front door. However this season my affections are being competed for and I have strayed, not far but love has grown for a beat on the middle Deveron. And has been getting far more attention from me these early days of the trout season. 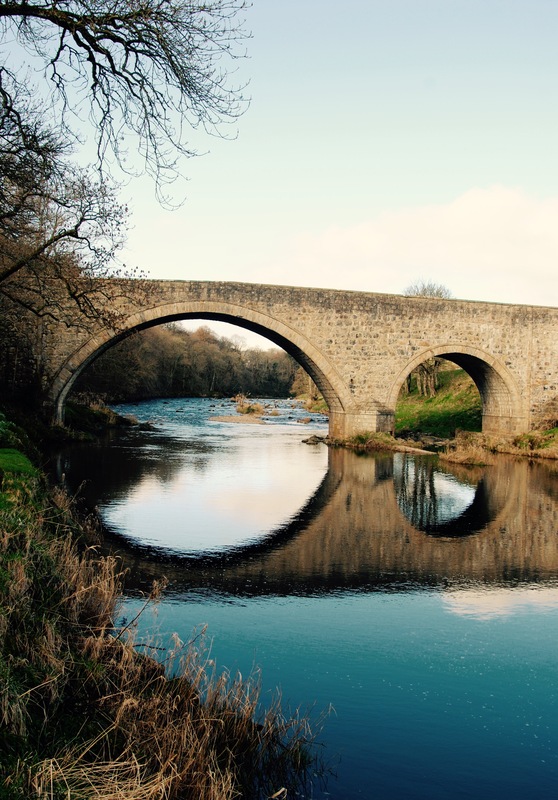 may have noticed me adoringly tweeting and flooding the Facebook world with loving words as of late and may well already have guessed where is this new love of mine well………..its Bridge of Marnoch! Should I be whispering? Possibly! Trout bums familiar with the Deveron will know this beat well and I confess it’s a beat I had only fished a couple of times before this season and without great success. But it’s 2017 and something clicked. Opening 2 two weeks before my home beats on the 15th of March, rather than the 1st of April meant it got its chance to seduce me and it really did work its magic. Stretching for just over 2 miles on the middle Deveron this beat has a great choice of waters – streamy sections, pocket waters and deep glides with nice seams galore. More than enough to keep any fly fishing fanatic happy, Nymphers and “normal” fly fishers alike. Winding downstream from the top of the beat which lies just above the Marnoch bridge that carries the Banff road over the Deveron heading northward, the beat meanders downstream with a fantastic mix of water; comprising ————named pools, these two miles of river hold a surprisigly large number of 2lb+ trout. With the nature of the beat it is possible to find some shelter when the wind howls, as it often does and on those blue sky days there is shade to find. Blue skies above and a strengthening westerly wind I headed downstream seeking a little shelter, surveying the water for those first signs of the hatch but no hint. I prefer to fish dries almost all the time which means life can be some what more challenging but there is some thing so visual, engaging and enthralling watching the fly on the surface, the anticipation, the hope waiting for the take, so I often spend a fair bit of time watching for that rise brought on by the hatch. So far this year there has been good hatches of LDOs and short lived hatches of March browns have been coming off the water during the magic window lunch time window, to the point you could actually set your watch by them between 11am and 2.30pm. I have my favourite spots and others theirs and I am sure this is the point where you expect me to spill the details on my spot… Afraid not folks! Where would the fun be in that, you just have to fish the beat and find your spot and the beautiful trout they hold. I stroll almost to the bottom of the beat without much in the way of hatch or fish rising. 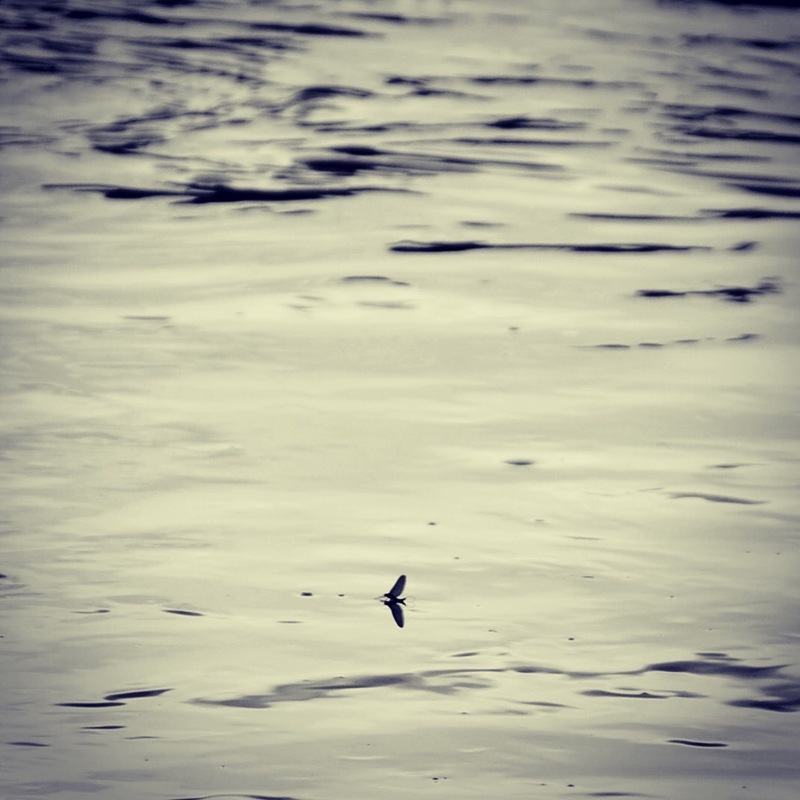 I turn and stroll back upstream and with that mother nature flickes a switch and Upwings begin struggling through the surface film and floating on the rivers surface like a flotilla of sailing boat before drying their wings and climbing skyward or becoming a trout snack. Slowly the trout begin to sip and pop on the surface taking emergers as they break through the suface of the river and as the hatch continues, what seems like reckless abandument sets in amongst the trout. They feed hard with splashy breaches of the surface taking both emergers and the duns on the surface, so I cast to my first fish. It’s a reachy cast to the far side of a seam that runs down the middle of the river, this fish keeps rising and appears to be a reasonable size and I need good accuracy for this as the fishs’ positions will mean that as soon as the line hits water will quickly generate drag on the fly. bring it to the net, a 2lb, 21in slab of gold. I dry off the Cdc quill emerger quickly, almost frantic to get the fly back on the water, quick dusting of frogs fanny I mud the line and look for my next target. The sounds of rising fish draws me downstream; in and on the near side of a seam in the mouth of the pool below there are several fish rising to Upwings drifting by. One fish in particular draws my lustful gaze, intermittently rising right in the seam, I throw out a cast from a crouched position in the water right on the rivers edge and clearly having used up my quota of good casts for the day I over shoot an I have to let the fly drift downstream so as not to spook my target. As I go to lift off, the water erupts in a splashy take and I am convinced I am in to a monster. Hand trembling and my heart racing as line streams from my reel I play the fish back and forth eventually bringing it to the net only to discover, somewhat bemused by the fight it had put up, a 12in, ¾ of a pound fiinock (young seatrout) – what a fight! I devoutly go through the tasks of preparing my fly and leader again and cover my target, in fact I cover it dozens of times changing fly three time as frustration sets in. The whiley trout either rises infront of, next to or behind and never touches the fly…… I consider my options, pour over the flybox and select an old favourite; a Para Adams sz14 barbless. A quick change and I cast holding my breath as it lands a foot from the fish and is carried down and over the fish and past it. I can feel a tiraid of expletives building when splash – he’s taken it! “fish on.” He must have turned and taken the fly on his nose as it came downstream. As he goes diving for the river and shelter in the broken bedrock I fight, trying to bring him to the surface concious of my light leader but luck is on my side for once and I get the 22in, 2.5lb beauty to the bank and the net quick selfie and he is back in to the depths of the river, until next time. Sitting in the water with a contented smile on my face, I reflect that there certainly is an above average number of these lunkers on the Rivers Deveron and Don but for me its all about catching beautiful wild Scottish brownies, regardless of wheather they are 9in quarter pounders or 29in 7lb slabs. For myself its about the privilege of being on beautiful stretches of water in stunning locations just catching trout. Maybe I am more of an explorer that a trophy hunter. So remember folks, it’s not about the size……..apparently, its all about the 1ertwqytyoiewrtqerfishing experience.